Becoming a Web designer and starting a website designing service is a big business. By spending some free time here on SANGKRIT.net and subscribing our Ultimate Web Hosting Plan, building a keen interest and some patience, you can start your website designing business, build world-class websites and start earning a nice income. If you know how to create website then its good, just subscribe the Ultimate Web Hosting Plan. And in-case if you don’t know anything about website building, then also you can start your website designing business with our help. Our Ultimate Web Hosting Plan provides you pretty much everything you need to start creating websites. It provides you a one click install for CMS like WordPress & ZenCart (eCommerce website CMS) and other apps for creating websites in minutes without any programming skills, feature for adding multiple domains, managing databases etc. We also provides you PDFs, tutorials and 24/7 Customer Support to help you manage your business better. With Fixed IP address you can access your website anytime, even after editing DNS record or at the time of transferring domains. SANGKRIT.net is proud to offer access to state-of-the-art data centers, providing fast, secure, reliable hosting to millions of users worldwide. Ultimate Web Hosting Plan is not just limited to these functions and features but you run your business on world-class data centers, best-of-breed routers, firewalls and servers, the plan provides you website statistics, FREE email addresses, Google® Webmaster Tools, Daily backup, there is no hidden fees, FREE setup and software, One-click application installs and FTP access for all websites you create. Although there are a number of tools and products you get with Ultimate Web Hosting Plan but there are three main products which you always get with Ultimate Web Hosting Plan. Free Dedicated IP Address: Build your business on its own unique IP address. Free Premium DNS: Make sure your website is safe and always online. Free SSL Certificate: Let customers know their private details are safe. Whereas other products keeps on changing as new schemes and software come in. 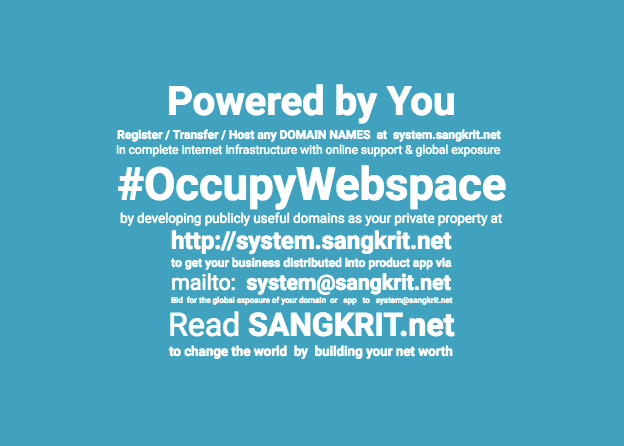 Still if you need more power then get one of SANGKRIT.net’s Virtual Private Server or a Dedicated Server. If you have any questions then use the following comment form and start discussing. Previous PostHow To Get Your Website Made And Managed?Next PostWhy Small Businesses & Stores Also Deserve A Website?